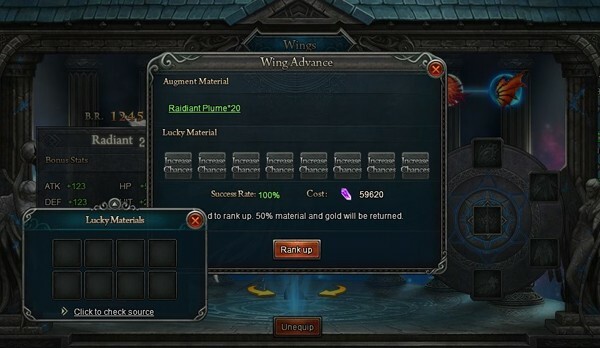 Wings are fashionable item which can even gain you additonal strenght after boosting them up! 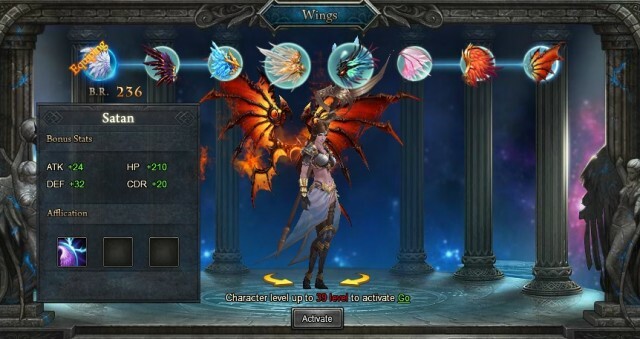 Wings are available to your character when you reach lvl 7 in tutorial. You can access this feauture by pushing "V" key on your keyboard or click on the "Wings" buttom at the bottom of the screen. There are 8 types of wings, each of them can be gained by differnt ways. Some of them are free and some you can gain only by recharge. 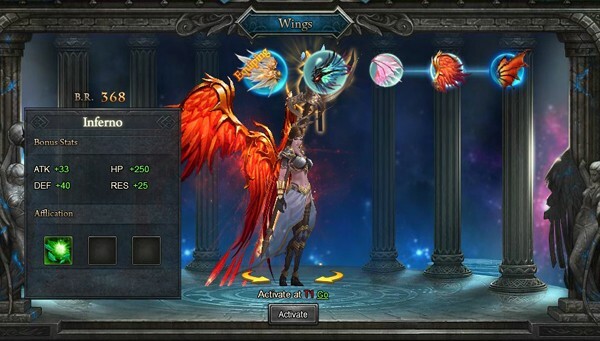 Your First "free" wings will be "Ares" which can be gained from tutorial at lvl 7, from Quest "Wings of Protection". 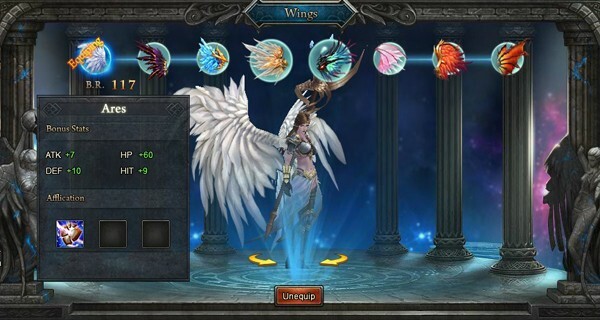 Secondly there are wings "Gracious" which can also be gained for free by completing Main Quest of "The Chace." 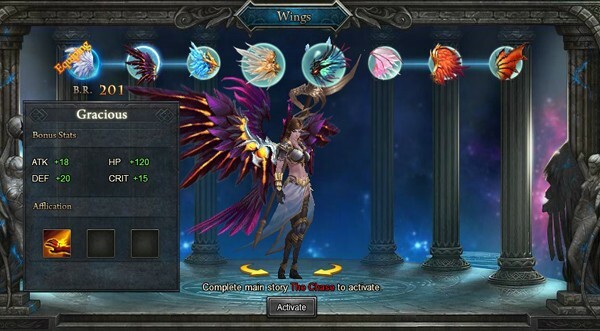 Third are wings available after 2 log ins. Named: "Glisten." 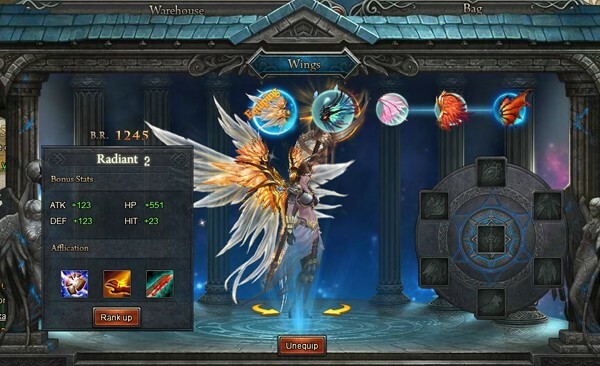 Each of the wings showed above have different skill, but the wings "Radiant" have all of these 3 skills combined. 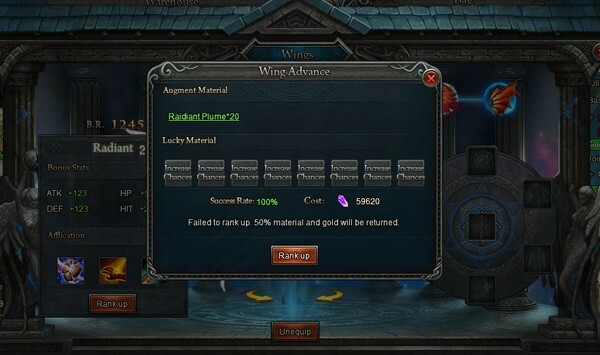 Radiant can be unlocked after you have activated all of the 3 previous wings. 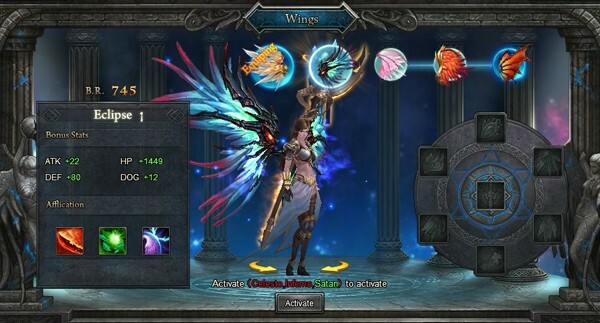 From right side are wings of Satan which are available after reaching lvl 39. 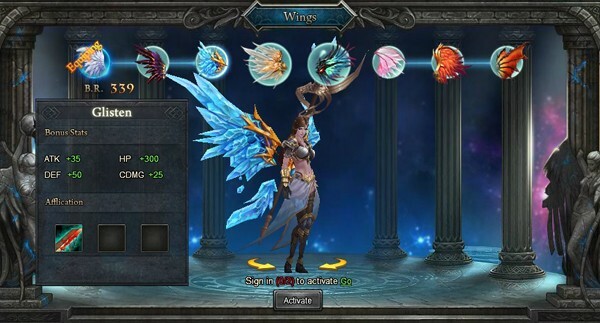 Wings "Eclipse" which can be gained after you activate all of the 3 previous wings from right side. 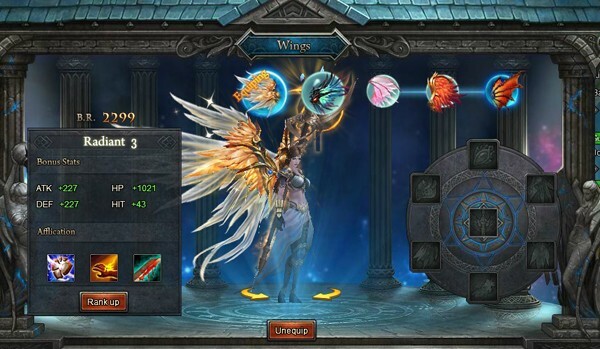 These wings have skills of the 3 previous skills combined in one. 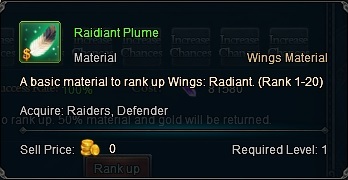 Only Radiant and Eclispse wings can be "ranked up" which will allow these wings to boost their B.R and Bonus Stats. Step 2.) Open Wings system. Step 3.) Click on buttom "Rank up" on Radiant or Eclipse wings. Step 4.) After you have gained enough Radiant Plumes along with Amethyst you can click on "rank up" buttom. As you can see on picture above the Success Rate is 100% however if the % decreased you can click on the slot of "Increase Chances"and use some of your Lucky Material if you have previously gained some. 5.) 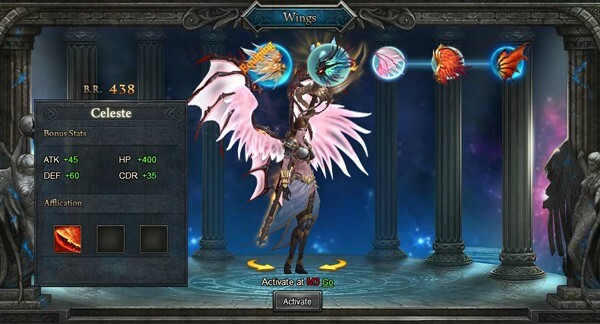 Now you have your wings ranked up which have increaed their Bonus Stat. (See picture below).